It’s once again time for the TV Cynics portion of the podcast, where the guys take a look and analyze television shows. 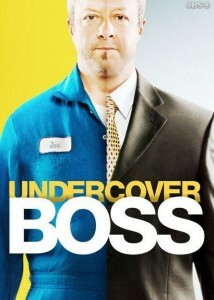 This time the guys talk about the CBS show, Undercover Boss. The guys thought the show would be something completely different than what turns out to be a family friendly show that attempts to tug in your heart strings on a weekly basis.